It’s hard to imagine life without our mobile devices. We use them to stay connected, organize our lives, schedule meetings, tasks, and much more. It seems like a regular thing to us now, but the statistics show that the majority of people use their smartphones too much. According to Deloitte’s survey from 2017, mobile phone users in the U.S. check their devices 47 times a day on average. And those who spend a lot of time on their smartphones run the risk of developing physical consequences. How is smartphone usage leading to pain, and what can be done about it? The characteristic posture connected to excessive smartphone use can have severe consequences in the long-term. One of the issues it causes is known as the text-neck, occurring when you repetitively strain your neck by hunching over a smartphone. Your whole upper back suffers when you do this, not only the neck and shoulders, as it adds extra work for the neck muscles that support your head. If this doesn’t seem dangerous, think about how much time per day you spend using your devices in this position. For an average person, that’s anywhere between two to four hours a day, but it adds up. 700 to 1400 hours per year of putting unnecessary strain on your neck and spine puts you at risk of needing spine care, even at a young age. Staring at digital screens tires our eyes, which can have various painful consequences. One of the most serious ones is a headache, especially combined with bad posture. You also may be experiencing blurred vision or your eyes burning and itching. To avoid this, make sure you take regular breaks from looking at a screen. Allow your eyes to refocus on an object in the distance before you resume using your device. If you use your smartphone too much, you’re at risk from being affected by Cubital tunnel syndrome. Also known as cell phone elbow, Cubital tunnel syndrome can cause pain, tingling or numbness running up the outside edge of your arm, excluding the wrist. It happens because of constant elbow flexing, which is connected to smartphone use. Frequent selfie-takers can often experience elbow pain, since raising your arm and taking many pictures can cause the overuse of tissues around your elbow joint. Our devices are great for many reasons, but limiting their use is wise for those who don’t want unnaturally bent fingers and joint pain. To avoid these painful consequences, make sure to keep your smartphone at eye level instead of looking down on it, and try to change up the ways of handling it every once in a while. 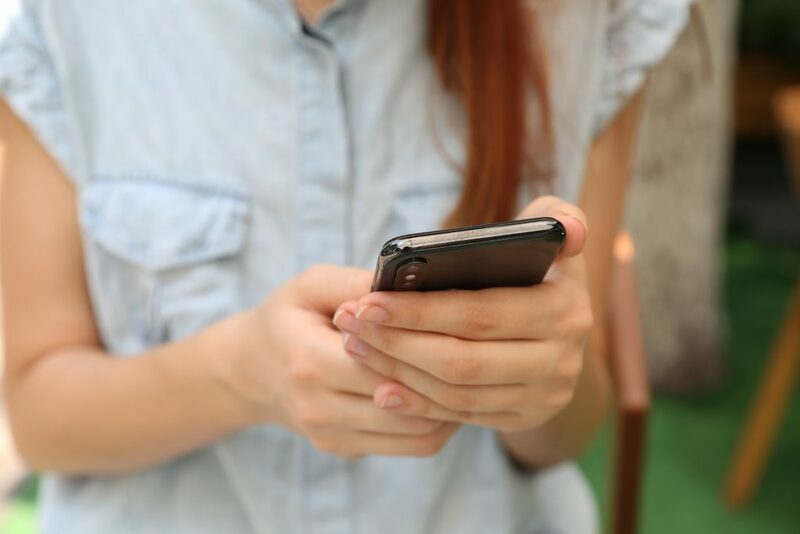 If you’re experiencing cellphone-related back, wrist or joint pain that’s leaving you unable to function normally, contact us at Florida Orthopaedic Institute and schedule an appointment. Michael J. García is an M.D. from the Florida Orthopaedic Institute. Doctors in Nova Scotia are doing their part to get kids active with the running program Youth Running for Fun.